Local naturalist and bird watcher Gwen Smalley attended the Birdfoot Festival’s kick-off benefit in March 2012 and says that when she heard what was planned for the inaugural season, she knew she’d have to be involved. 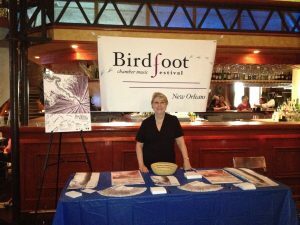 A year later, she became a Birdfoot Community Ambassador, a monthly sustaining member, and one of the Birdfoot Festival’s biggest fans. 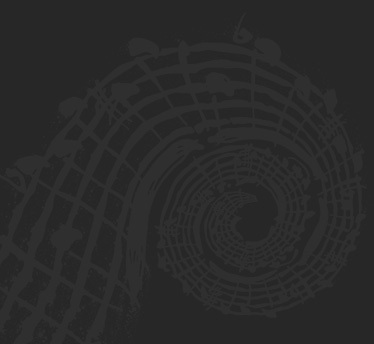 Gwen got involved with the Birdfoot Festival in 2012 by hosting two musicians. “It was like dying and going to heaven,” she says. “I’ve been a naturalist my whole life, listened to classical music my entire life, heard all these famous artists, but this was…different! Two of them stayed in my house and we spent a lot of time talking. I was able to ask questions that I’ve always had that seemed so naive that I wouldn’t ask anyone else. I got to explore the music and what being a musician is like with them— they’re fabulous, fun, normal people….they love having a good time, and they’re fantastically talented and brilliant, but there’s no snobbery. I took them out for drinks one night and introduced them to Sazeracs….they love New Orleans so much that it makes you feel great to share this city and everything that is wonderful about it with them!